Christian Pum, CSO of the ENGEL Holding GmbH in Schwertberg/Austria, has decided to resign from his position and will leave the company at the end of this year to accept new challenges in a different industry. 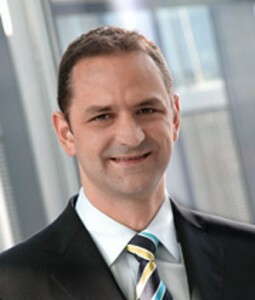 Dr. Christoph Steger, former Vice President for ENGEL’s Business Unit packaging, has been appointed as the new CSO. Dr. Christoph Steger takes over all responsibilities from Christian Pum effective immediately. Mr. Steger joined ENGEL at the beginning of 2012 and had since lead the Business Unit packaging with great success. Under the leadership of Christoph Steger, ENGEL packaging has experienced a continuous substantial growth, providing injection moulding solutions to the plastic packaging sector. Together with Dr. Peter Neumann, third-generation-member of the ENGEL family holding, now the fourth generation in management with Dr. Christoph Steger and Dr. Stefan Engleder (CTO) bears operational responsibility. Since its foundation in 1945, ENGEL has been 100 percent family-owned.